Establishment Politicians - Both Democrats & Republicans Just Will Not Change. You are here: Home / News / Establishment Politicians – Both Democrats & Republicans Just Will Not Change. 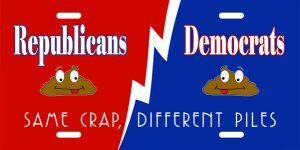 Establishment Politicians – Both Democrats & Republicans Just Will Not Change.